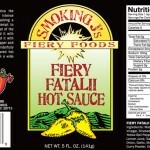 SKU: Fiery Fatalii Hot Sauce. 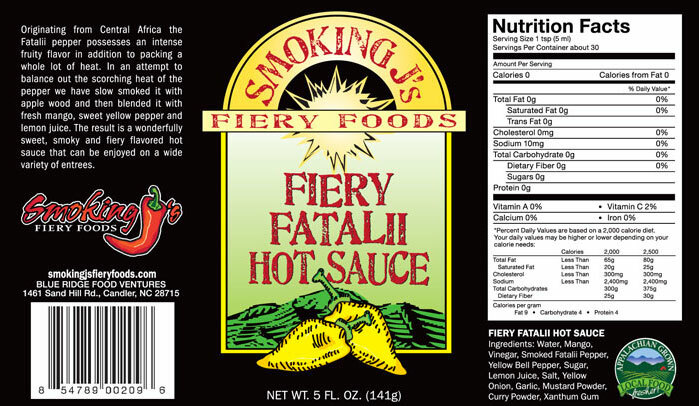 Originating from Central Africa the Fatalii pepper possesses an intense fruity flavor in addition to packing a whole lot of heat. 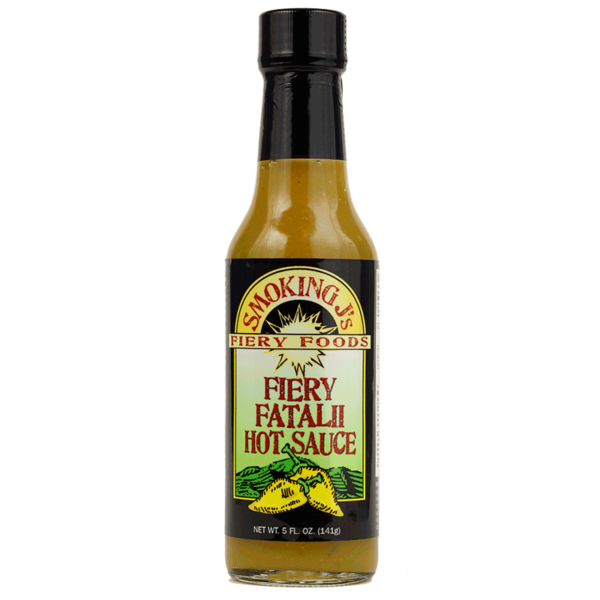 In an attempt to balance out the scorching heat of the pepper we have slow smoked it with apple wood and then blended it with fresh mango, sweet yellow pepper and lemon juice. 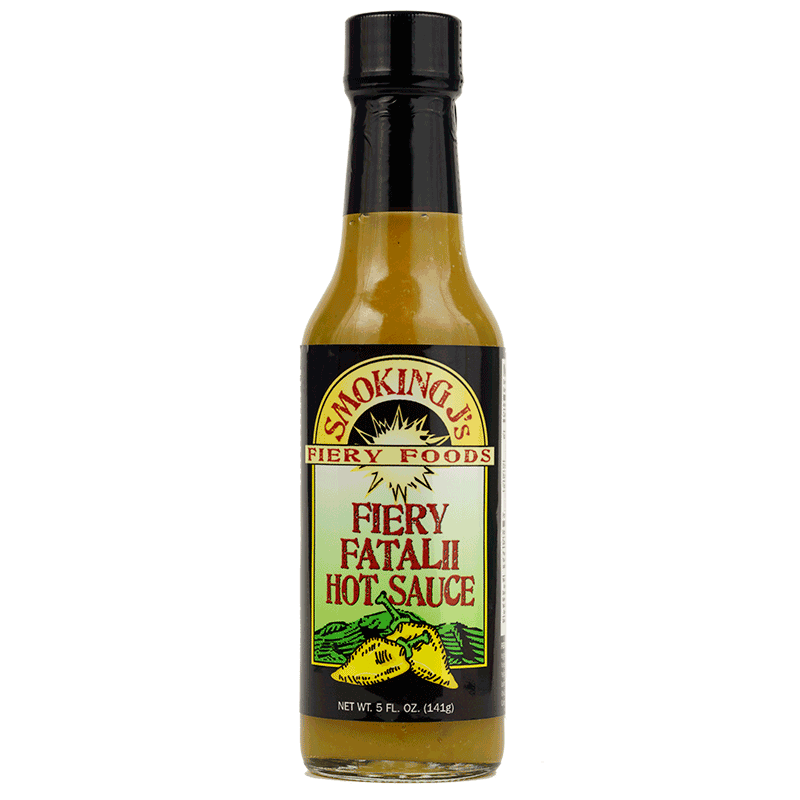 The result is a wonderfully sweet, smoky and fiery flavored hot sauce that can be enjoyed on a wide variety of food.